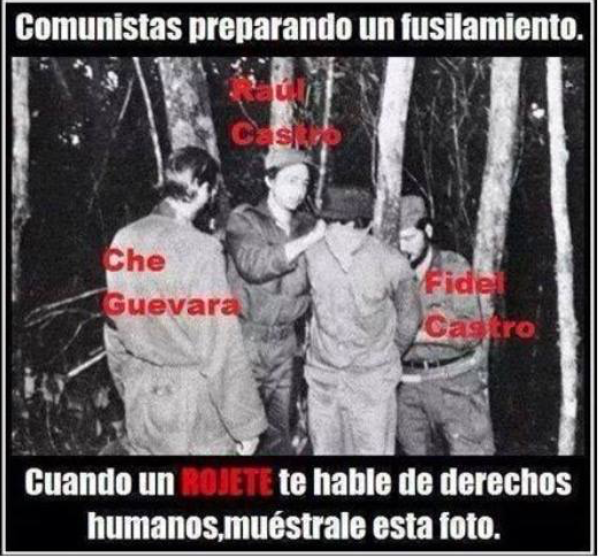 The real “che” … what he thought about Bolivia and his inner self … in pictures and the names of our Bolivians killed by him! 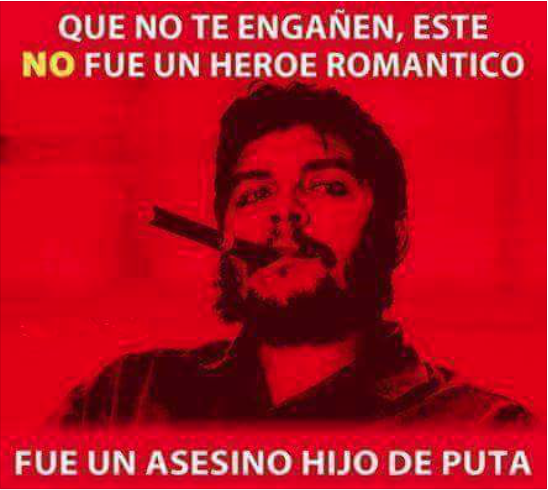 It is undeniable that “che” Guevara was an invader, he came to Bolivia to start a new Vietnam, he came to kill our citizens and impose by force his delusional view of the world … or to satisfy his own pocket? This reflects his true self, as he uses a luxury item, produce of the capitalism he said he despised so much … he is no different than current coca grower leader that has had absolute control of ALL State powers in Bolivia, for the last eleven years, and of course this “evo” has spent a lot of our money to perpetuate the image of this criminal. “Che Guevara was an international terrorist and mass murderer. During his vicious campaigns to impose communism on countries throughout Latin America, che Guevara trained and motivated the Castro regime’s firing squads that executed thousands of men, women and children. This poster reveals the truth of this criminal’s cruel, murderous hypocrisy and acknowledges his countless victims, known and unknown. Need more to acknowledge this monster?! EL #MESON – 25 DE ABRIL. Sr. Luis Beltran Roda (Guía). Cabo Alum. Luis Peláez Alpiri. EL #CAFETAL – 10 DE Junio. Sr. J. Armando Cortez E. (guía). This entry was posted in Beni, Bolivia, Crime and Violence, Politics and tagged bad politics, che guevara, crime, democracy in peril, terrorism. Bookmark the permalink.